I was cleaning out some pictures last night and found this beauty. Had to share. I’m all about the share. 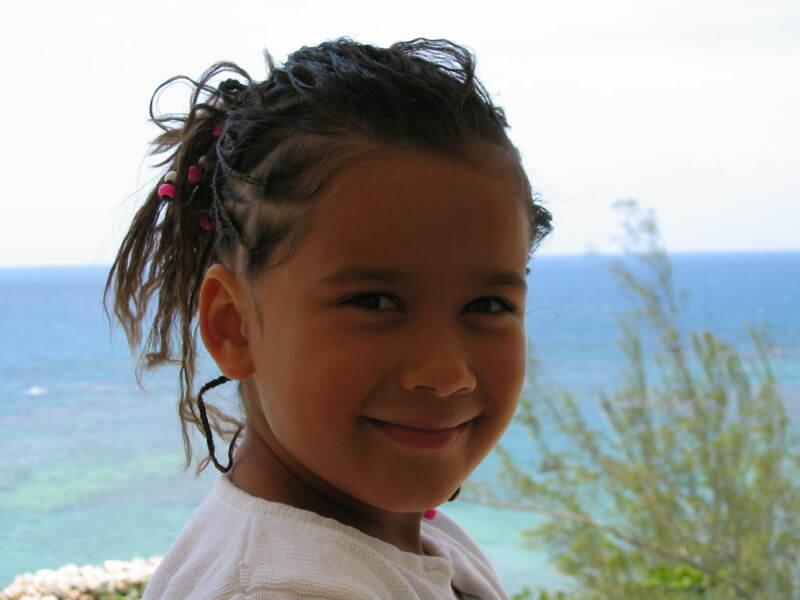 This is from a trip we took to Jamaica over 8 years ago – my baby was 6 months, my girl was 5. It was day 3 into the trip. Every time we went to the beach, really nice, really pushy women would ask to braid our hair. I’d always politely decline. My girl was desperate to get it done. She wanted those beads in her hair. She had visions of going home with a new, exotic look. 45 minutes and $100 US dollars later – this is who showed up at the hotel room. Since I had just woken up from my vacation nap and was looking forward to a vacation cocktail before dinner – I ignored the fact that my husband had been completely bamboozled by both my girl and the nice ladies on the beach. I had visions of the ladies back in their homes, laughing, hard. I let it all go and grabbed my camera to take this picture of my little Jamaican cutie on our balcony. 5 minutes after this picture was taken she made us take out all the braids – they were too tight and itchy. The end. Previous You had me at cheesy story line Next The point of this blog is? very true – nothing like evidence! That’s priceless (or not, as it were)!